I have a complete section of notes in my OneNote and this is my attempt to gather them all up as a guide. More importantly, things I've learned and in what order to do them in. These are my notes and written quickly but should be fairly understandable. If you need clarification on why I did something just ask below. I'm not saying all of this is 100% perfect, it's either things I have been doing or have learned the hard way. I'm going to present this to you from the point of view of a new PC. My recommendation is to do this on a PC you can trash, meaning, take the hard drive and wipe it clean at any time to start over. When I say mining rig it could be a single GPU, CPU, or a frame full of 6 cards. This is mostly from the point of view of building something from the ground up and using it only for mining. Many people use their gaming PC and GPU as a miner during downtime and that is completely fine. Some of these steps will not apply to that miner and obviously, some of these steps may not be the best for you or the most secure thing to do to a PC. Take that into consideration for the health of your personal PC and your network. Harden your internal network to exclude the IP address of the mining rig. Don't store information, keys, passwords, etc on the miner. Don't have Chrome browser or any other browser loaded that will login to your password programs automatically. I don't like storing personal data or links to network drives, etc on the miner. Consider removing your personal HDD and replacing with a spare. Check your mobo bios. Up to date? If it's working don't update it. Keep that in mind if you run into a problem. RAM = 4Gb will work on most low end rigs. You will want more for 6 cards and up. Makes it run smoother. Don't buy the expensive super fast timing ram unless this is an investment in a future server or gaming PC. Slower is fine. CPU - Go for Celeron and up to run a GPU miner. Choose more to mine via CPU. HDD - Make sure you have enough room to set a large swap file. 20Gb to 30Gb of swap and then make sure you have space left over. 100Gb SSD or spinner is fine. Power Supply - Make sure you have enough for the cards you want to run. You can't overload this thing. It will cause problems, reboots, fires, etc. Cables too. Fans - You can get a box of 3 for under $20. Make sure your case has adequate air pulled in, and pushed out. If you are in a mining frame make sure that you can pull heat away from the cards. If you are going to use PCIE risers it is advised that you not use SATA power plugs. If you must use one, which I have before, use it on a lower power GPU, and never use a molded plug. A molded plug is plastic wrapped all the way around the power wires. Use 6 pin or molex. Start a log book of your hardware and what you have done to it. Also GPU's. Example: If you flash a bios on an AMD GPU, note that down somewhere and store the exported bios. Also log steps you take, changes you make, costs involved. Take notes! Does the box have onboard video? Use it. No GPU's yet. This is controversial. A lot of folks say to use it so the GPU doesn't have to worry about video output. Using the onboard video consumes resources of the PC as well. I've found it better to use the onboard if you are using NVIDIA cards. If you are using AMD cards they sometimes get fussy about not being used. This one may scare the crap out of you. Some folks have used shoddy gear and cables and have turned their mining rig into melted plastic or a sparking fireball. Don't use cheap crap. I personally have put a security camera on my rig. I can jump on a remote camera app and see the rig running. I also have a temperature sensor nearby so if the room spikes in temp I will be notified. That means environmentally there has been a change or the room is on fire. Both not good and getting notified ASAP is a good thing. The first thing you need to do is get your "Patience" out. Your going to need it a lot! I'll put it in the notes below but get a method of remote connection put on the machine ASAP. Don't install miners until the end. Don't install anything that has an intense auto startup routine. Ummm, like a miner! 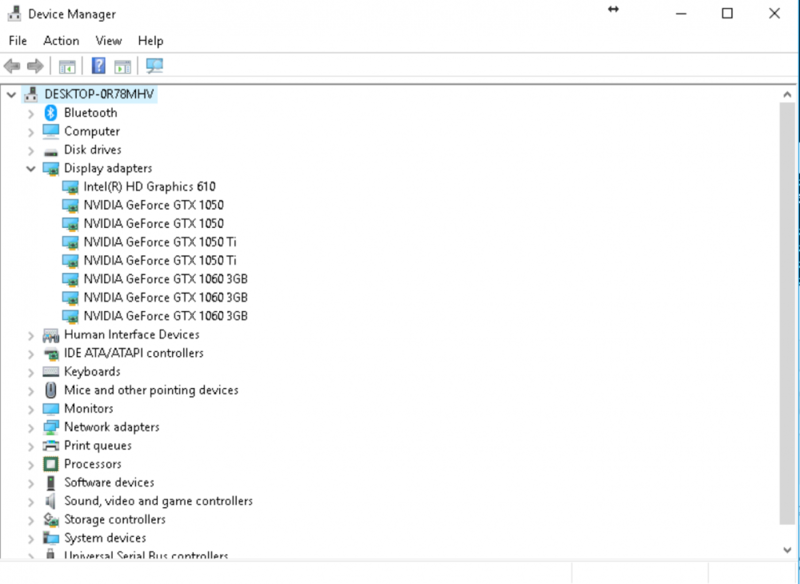 Windows 10 takes time to sort out GPU's. It’s surprisingly good at it though. If you have an open air mining rig in a frame make sure you have installed a HDD light. We need to see it! When installing cards, GPU's, or making changes from GPU to onboard video or vice versa always let Windows settle down and do it's thing. Don't fire up a miner, don't start Task Manager, just CHILL!!! Watch the HDD light and let it settle down. Sometimes around 5 minutes. Work on something else! You may need to go into BIOS and set up video if you are using onboard video. The machine will default to PCIE video card if you have one installed. You may have to tell the BIOS to use onboard. Do you have an older board? Com ports, LPT ports? Disable them. Do you need audio? No? Disable it. If the BIOS has a setting to resume power after a shutdown use that. I'm leaving this up to you. Reset the PC via factory app. Reset the PC via Windows 10. Install fresh from a download only from Microsoft. Don't get it anywhere else. Use only Genuine Windows please. If it doesn't have onboard video, install one GPU. Don't do drivers for it yet. Windows will light it up for you and we will undo that later. Installing Windows uncheck all the privacy options. No Windows Live login. Choose local account. No password so hit enter or click the arrow on the blank password. In some cases we may want to set a password but for now leave it blank. Uninstall everything that you don't need for mining. No Candy Crush! Check for Updates. Many times. Make sure there are no pending updates. Check every time it reboots. You want the Fall Creators Update. Teamviewer. Go sit on the couch. If you use RDP then go into settings and explicitly allow RDP sessions to PC. If you are on a Windows 10 Home edition you need to use another program such as Teamviewer. It is free for personal use. It is a little naggy but works well. I can't tell you how many times I've booted a machine and made a mistake and have no video output. Teamviewer will save you from having to hard reset it. Do it! Check Devices to make sure there is nothing that needs attention. Yellow exclamation points? Take care of them. Remove as many auto start applications as possible. Everything that loads up takes RAM away from you. Windows installed, stable, and updated. Take a deep breath because it's about to get interesting. These next steps will separate the mining rigs from the gaming rigs. Do them if you want. Do them at your own risk. Do them if you are serious. Nothing is worse than you setting your rig to mine at midnight and then it rebooting to do a piddly update at 1 AM and you have lost 6 hours of mining time. I'm about to come at you with some crazy settings. Don't give me the "unsafe" or "reckless" lecture. Make your own decisions. This is a mining rig, not a family PC, or HTPC. This works well for miners using xmr-stak. This miner is a command line miner for monero type coins. KRB, ETN, MSR, etc. This step comes straight from the README file. By default we will try to allocate large pages. This means you need to "Run As Administrator" on Windows. Reboot for change to take effect. I always do this via File Manager. Right click This PC, Properties. In the Advanced Tab, Performance box at the top, click settings. Advanced tab in the middle. Virtual Memory Box at bottom. I've been using 25000 as minimum and 30000 as maximum. I've heard you need more if you are running over 8 GPU's. You have to restart now. I've seen this take two restarts to sort out. Uncheck, Users must use password. Add a username if necessary. Stop it. Double click it. Set Disable on Startup type. Go back and check if it's disabled. It does not want to be disabled! This is where you have to be in tune to the world of Windows. If there is an update out there you need, google it with mining, read up on it, update your rig. Simple. Brace yourself. Download this registry tweak and run it. Disable all it asks you to. If you are skeered you can edit the file and see what it is going to ask you and each edit it will do. It doesn't fly through your registry, make changes, and say done. It asks you for every single change. It's actually really handy, like disable telemetry and data collection. It also disables cosmetic stuff you may never know is there but takes resources. You may think you know this setting but read it carefully. I found it helpful. I found this On in one of my PC's. I never did do a check on hash rate performance though. There is a tool called DDU that will strip your Windows of video drivers. It's good to use if you have a PC that has gone through multiple GPU's for gaming, onboard drivers, etc. The idea is to remove all the drivers and turn it off. Install a GPU and then install that driver manually. If you want to use onboard video you have to be careful. This tool will also tell windows to never update the video drivers. That is also handy. New load of Windows? Perhaps you can skip this step but keep it in mind if you get into trouble. Regardless. Turn the box off now. Time to put in your first card. Here we go. One Card, One Card Only. Put your GPU into the first slot. Where you normally would. Use a riser, whatever. Check everything twice. Make sure the riser is balanced in the slot. Power applied to card, and riser. Power on. Wait for Windows to chill. 5 Minutes. Watch the HDD lite and wait for it stop being constantly on. AMD, do a custom install. No ReLive or audio drivers. Right Click on the Radeon driver icon in the toolbar and start the Radeon Settings. Click gaming, click global settings. Set GPU workload to compute for mining and graphics for a little Fortnite fun. You can now check Device Manager and see if the Display Adapter is properly shown. If there is any doubt you are on the new driver do a reboot. You should have seen the screen flash and it should now be in a more suitable resolution for your monitor. Reboot and check it again if needed. If you see the card then turn the box off. Shut down. Install another card. Repeat. Patience. Wait 5 minutes for Windows to sort out the GPU that is added. Maybe even more time. Some guides I have seen put the rest of the cards into the rig all at once. I'm saying go one at a time. Less chance of an error and more time to plan. Turn the box on. When Windows boots wait 5 minutes for it to chill as before. Don't touch it for anything. No miners, no device manager. No browsers, nothing. Stop. Chill. When the HDD light stops you can check device manager. Only when it stops. You should see 2 GPU's. No exclamation points. I'll get busy on a new post for GPU optimization and what software to use for mining. Here is my small time miner. Ya, I know. 1050's! Say thanks by using links in these posts to purchase items with. Make sure to turn off your ad blocker for this site. If you are registered here you will not see Google Ads. Sign up with this link to mine a coin with your browser. Join me in self mining - https://jsecoin.com/o/?a=40280 We both get a bonus! Nice article @Dave. Really very clear. Thanks. If I had one bit of advice to give myself it would be to install Teamviewer right after windows installs. Don't do anything else to the OS until you have a remote software running on it. Many times I have lost video because the system gets confused on GPU's vs onboard and had to remote into the box. Some times I use the keyboard and mouse of the box while looking at my phone that is connected via Teamviewer. I tried to go with SplashTop because TV nags so much but in the end I decided the nags are worth it. I mis-clicked once and TV installed an antivirus solution on the PC without me knowing it. The first time it scanned the drive it grabbed all my miners and flagged them. It was a mess to fix. Be aware of that when TV tells you that your antivirus is out of date or disabled or something like that. Burst Mining Explained, Setup, Software, Everything! 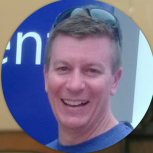 I sat down with @jcollison and talked about Burst HDD Mining. This episode of the RESET Podcast should fill in all the blanks if you have had questions about Hard Drive mining. Please subscribe with your favorite podcast player. I've been posting about this motherboard for a while now. My research project with this board is now complete! I have 8 GPU's running on it; Two via M.2 adapters and 6 via PCI Extenders. Video out to monitor is also routed via the onboard GPU. Here is the original post. I was able to get 7 NVIDIA cards running via this original rig. I can happily say that I'm running 8 AMD Radeon cards on my second attempt. My guess is that I would have been able to get the 8th card up and running on this original build had I given it more effort. I tried once and a lot of the cards dropped off so I backed out and got it back up and running. I think in my install I nudged a few PCIE extenders and should have just reseat them all and tried again. The M.2 adapters can also be touchy and it sometimes takes several attempts to get them to see the GPU. I sold that rig so cannot try it again. I liked the motherboard so much and it is at such a good price point I bought another one. I also loaded up on RX550 cards in order to do a "CryptoNight Mining Rig" build. 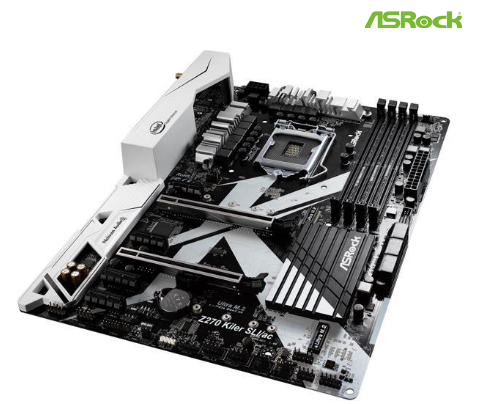 Motherboard - The ASROck Z270 LGA 1151 - https://www.newegg.com/Product/Product.aspx?Item=N82E16813157746&Tpk=N82E16813157746 Here is why. Six PCIE slots. Two M.2 Slots. This allows a total of 8 GPU's. It also will do onboard video so the GPU does nothing but mine. Cheapest CPU you can find - https://www.newegg.com/Product/Product.aspx?Item=9SIA1K66RA3156&ignorebbr=1 The box is going to be a GPU miner, not a CPU beast. Now, the secret sauce. http://amzn.to/2EVMx5j This little jewel will convert your M.2 slot into a PCIE slot. You still need the riser board though. When you populate the M.2 slot it will also consume a SATA connector. Not physically so check your motherboard manual. You can also use this - http://amzn.to/2DglvFd - to link your two power supplies together and they will turn on at the same time. I enjoy building the frames and did another custom build. I took a lot of time with a tape measure and the gear plus the cable lengths. I wanted to center a motherboard between two power supplies and have two racks of cards. I also wanted it wide enough in case I switched to a B250 board that would run more than 8 GPU's. I gave it a coat of flat black paint. I took a little extra time with it and covered nail gun holes and wood flaws, sanded, then painted. Some screws are still visible because I couldn't find my counter-sink bit! I also thought I was being cool by using some hickory we had left over from a flooring install. It's so freaking hard of a wood that it was tough to work with! I won't do that again but this rig has some very sturdy cross members! My only oops is I have twice neglected the SSD mount. I don't have a real custom way to mount it. Lastly, I put in a swivel board on each end to hold in the power supply. You will see that in another photo. I still follow my own advice on Windows 10 Prep. Read this post, do the steps. I have also learned to install TeamViewer right after Windows Loads. Don't wait! The lowly AMD Radeon RX 550 with 2Gb of onboard VRAM. Who in their right mind with mine with one of these cards? I like the RX 550 2Gb card. I personally like the Gigabyte version. They don't require external power and I've found them to have decent VRAM in which to mod the bios and overclock. I've purchased them new anywhere from $95 to $130. The produce around 420 H/s on XMR-Stak and more with aggressive overcloccking. They also sip the power. Here i have the rig of 8 on a single 750 watt power supply even though I have two power supplies loaded up on the rig. One thing I have also learned is that you don't have to apply power to the 4 pin plug on the M.2 adapter. Powering the riser is enough. You can see the while M.2 adapters in there somewhere! Here is a beautiful picture. 8 GPU's in Device Manager. Photos or it didn't happen. Above is XMR-Stak detecting the GPU's. Here are the threads, two each per card. They are not Vega's. They don't hash like a Vega but they don't cost like a Vega. Not a bad rig. Cost per hash is much lower than many other AMD cards on the market. Do the math for yourself if you are curious. Hit me with questions. Rachio has just announced version 3 of their popular sprinkler system controller. Rachio's generation 2 hardware was such an improvement on their first controller it may be hard to top. Gen 3 looks great and has new hardware to go with it. First Look video below! Rachio's approach to irrigation hardware has been pretty straightforward. Replace your existing irrigation controller, water smarter, take advantage of mobile to control it. What they have done over the past 2 iterations is make it easier to do all three. Generation 2's hardware simplified the install immensely and the Rachio 3 Smart Sprinkler Controller looks to do the same as well as offering more options for the homeowner. So how do you improve on an already great controller? Let's just jump to the new devices. Rachio is announcing an add on flow meter called the Rachio Wireless Flow Meter. It will sense water flow and shut down water supply if it detects a leak. This is an interesting addition to the product because it moves Rachio from a true DIY product to on that may need help from a professional. If you know your sprinkler system you know you have a back flow valve somewhere on your property. It is usually above ground and the Flow Meter can install in-line, after the backflow valve. Rachio has tips and guidance on the install if you would like to attempt it yourself but it may be prudent to involve your irrigation pro if you don't already have the tools to perform this type of work. 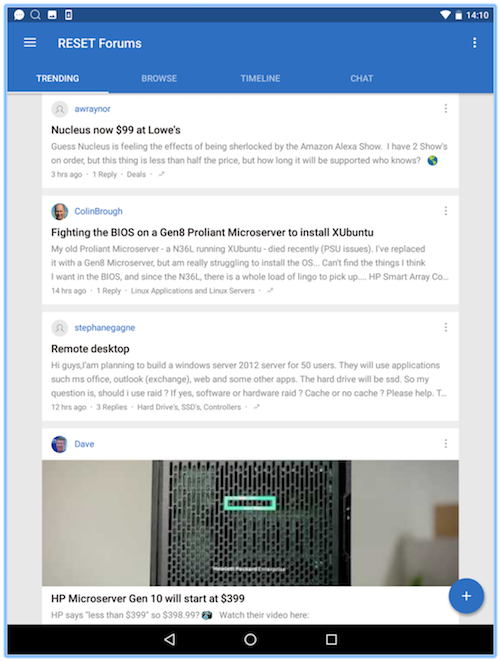 The "smarts" surrounding Rachio 3 cannot be overlooked. Their new weather intelligence is impressive. You can gain insight on weather data within a 36 foot radius of the Rachio 3 controller. Thirty Six Feet! Rachio 3 ships April 2018 and can be pre-ordered today at http://www.rachio.com Rachio Flow ships May 2018. Pre-Sale pricing is $279 for the 8 Zone and Wireless Flow Meter. $329 for the 16 Zone and Wireless Flow Meter. Outdoor enclosures are still $29. Crypto Currency and Taxes in 2017 2018 What to tax? Digging in a little more about what to report and what to tax. This podcast below is a wealth of information for anyone that is holding a coin. Coinbase provided the IRS the information of anyone in their system with $20k or over in assets. Deposits to Coinbase via FIAT currency are not taxable events. Trade of BTC to Altcoin IS A TAXABLE event. Reply with concerns or take-aways from this podcast. *This is not tax advice. Consult a tax professional.